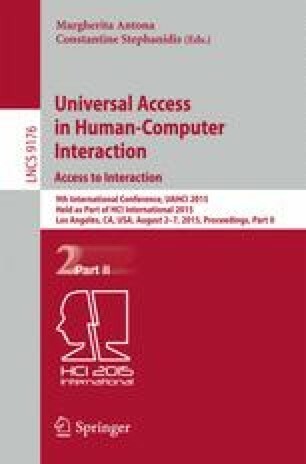 This paper describes Tawasol, a multimedia system offering an innovative and engaging learning experience for people with hearing impairments. Tawasol is a project developed in collaboration between a university-based research group and a charitable foundation. We describe the novel system features specific to Arabic interfaces and signing conventions. Challenges that were faced in the design and development of the software are discussed. The authors extend their appreciation to the Deanship of Scientific Research at King Saud University for funding the work through the research group project number RGP-VPP-157. Special thanks to the developers of Tawasol, Sarah bin Mahfoudh, Abrar Alsumayer, and Rana Alomar. In addition, the authors would like to acknowledge the support of Tawasol-Princess Al-Anoud call center services for the deaf for providing materials, data and suggestions for this project.